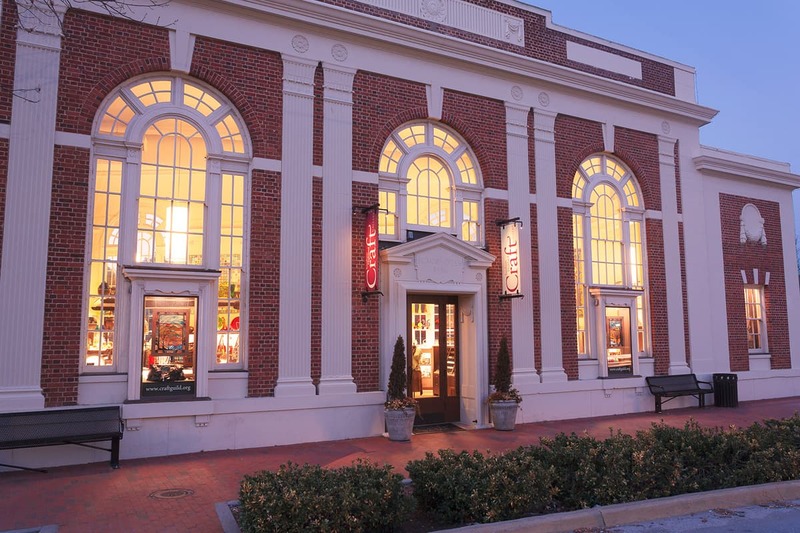 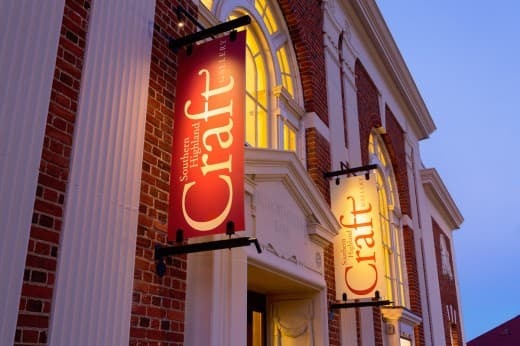 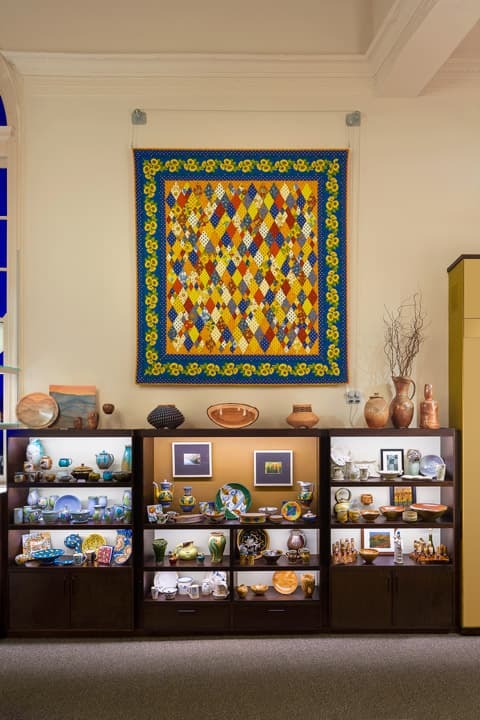 Following our successful redesign and renovation of the Allanstand Shop at the Folk Arts Center in the early 1990s, the Southern Highland Craft Guild again selected us to help them create a destination fine crafts gallery in Biltmore Village. The new gallery is housed in the Biltmore-Oteen Bank building, circa. 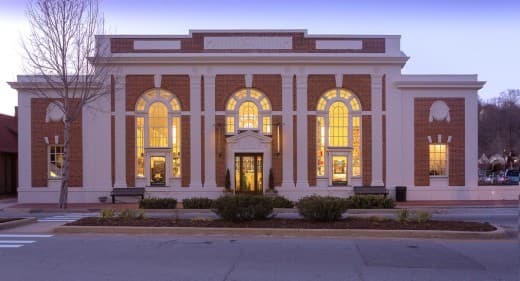 1928, which features a trapezoidal plan and 25 foot high ceiling. 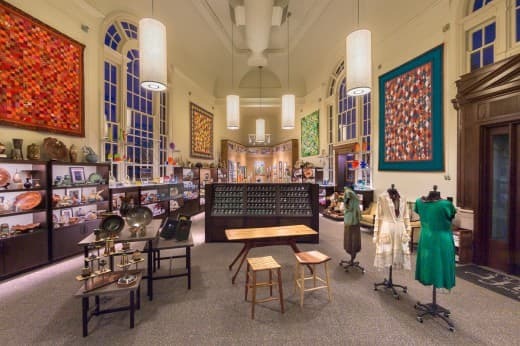 We crafted a very successful gallery incorporating both craft-specific and flexible retail displays within the very dramatic space. 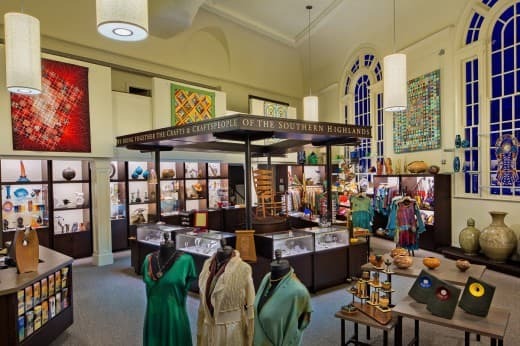 The project received an award from the Preservation Society of Asheville and Buncombe County.